Ditto l.b.! Why can't cell phones be prettier? Is this your phone? It should be! It's gorgeous! 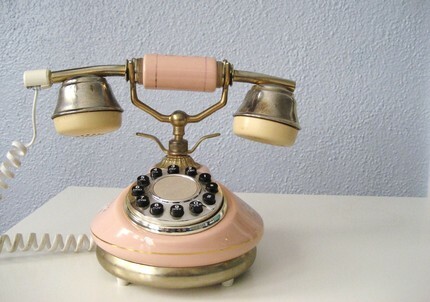 I have an old phone similar to this one from my grandma's house. Had it hooked up to a land line. Unplugged it within the week - it sounds like a fire alarm! lol They sound very shrill.